Blogging Basics: What is a Blog? Blog is not only a way to share information but a powerful tool and have ability to change someone’s life completely. It is sometimes citizen journalism and really a serious stuff. However it is flexible and can be used in any way the blogger wants. Their are a lot of people whose life get completely changed by their blogs. I have listed a few such sites below. Here are some of the best example of various sites which have made millions of dollars and can you belive most of the blog was started by individuals. Blogging is an easy way to share your personal feeling, documenting our life, sharing valuable information and archiving them. Not only this but their are a number of people who uses their ideas and information to make some money and for some of them it bring bread an butter. As a Hobby and passion: Many people blog as a hobby. The simply love to blog. It is another truth if you are not passionate about blogging then you can’t blog. Blog is not just about writing and sharing content. It’s about how we present the content, It’s about the content is important to the author. If the author have no feeling about what he or she shared then it may be a big mistake. A blog post or the way we write need personal touch. Digital Diary: Some people writes daily diary for documenting their memories. Since the technology has changed, a lot of people moved to blogging. Blogging allows them more flexibility and features. You may find a lot of examples on the web. Sharing Information: Blogging is not just an hobby or a diary. It is also a very serious stuff. As a part of social media it not only shares feelings but also have power to change the world by spreading information in real time. 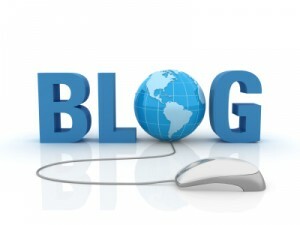 Blogging has also played crucial role in recent. It is one of the best place to share information of any type. Depending on the nature of a blog it shares information in that niche. For example Matt Cutts who is Google Web Spam Head shares information regarding best practice of search engines. Since, a blog share information and have some audience. This enables blogger to make money online. Money making blogs can sell ad space to show some advertisements or use some affiliate network to sell their product among their audience. For some people it is the only way to earn money. Any why it should not be, if it makes millions of dollars? Their are a numbers of such blogs. Since blogging requires no age, financial requirement or formal educational. So anyone can blog who have access to internet. WordPress and Blogger like services are also available free of cost. Their are more than hundred million blogs of any type which are published by various organization, corporates or individuals. According to requirement Govt. offices and corporates blogs for public notices. where as Individuals blogs to share their feeling, knowledge and their experience. Professionals blogs and share information regarding latest happening in their field or tutorials. Technorati is one off the biggest online directory for blogs. It tracks at least 150 million blogs (by 2010). I am sure you will find any type of blog in Google and Technorati. Sadly, Technorati has retired the blog ranking directory. And the service is no longer available. So, Why not you start your own blog? It is the time to get into blogging and understand blogging. Subscribe to BlogSynthesis and get regular updates directly into your inbox.